When I was in culinary school, there was a chef there that I never had the priveledge of having as an instructor. Everyone in the school knew him or at least who he was. 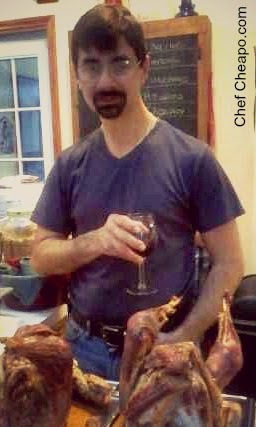 Chef Papini was an Italian man, about five foot nothing and at least 60 years old when I was there in school. His toque (tall, white, stove pipe hat that chef's wear) was taller than he was. He was a romantic. All of the female students loved him, almost crushing on him. The guys all wished they had his charisma. Again, I didn't have him as an instructor. I was in the kitchen next door to his and he would often walk through our kitchen to see how we were doing and offer tips as we were cooking. One of the best bits of cooking advice I ever received was from him. It was a simple ingredient and one he would walk the halls repeating it to everyone that could hear him. He would come up to your pot of whatever you were cooking, look into it and say, “ LOVE! You must love your food! You must put a little bit of love into everything you cook!” Great advice. The perfect ingredient. Add it to everything you cook and everything you do.